Dianlei Zhang moved his last chips in the middle for a stack around 450,000 and got called by Jon Hoellein. 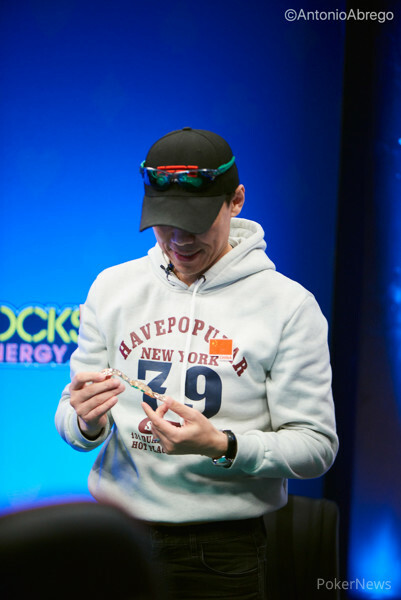 Zhang, holding , was dominating against Hoellein's hand holding , but fell on the flop, giving Hoellein a pair of aces. 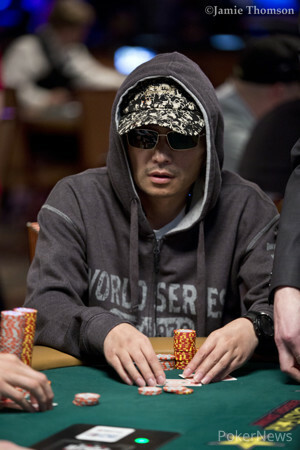 The turn and river brought no help to Zhang who made his way to the cashier to collect his $23,365 prize.